For over 25 years, Towson Medical Equipment Company has been providing quality durable medical equipment products along with exceptional repairs and customer service to thousands of customers throughout Baltimore, Maryland, Washington D.C., Southern Pennsylvania, Delaware, and Northern Virginia. Here are some of the products we stock: – Manual Wheelchairs and Transport Chairs –Scooters and Power Wheelchairs – Seatlift and Recline Chairs – Stair Lifts and Wheelchair Lifts – Home Modifications and Grab Bar Installations – Portable and Permanent Ramps – Orthopedic Supplies, Braces, and Supports – Blood Pressure Units and Stethoscopes – Hospital Beds and Accessories – Incontinent Supplies and underpads – Compression Stockings, Support Hose, and Teds Stockings and now Breast Pumps by Ameda and Dr. Comfort Diabetic Shoes. We have certified compression therapists on staff at both locations to fit you right in our stores. ory trained technicians that will come to your home to service your item. We also rent most equipment and we sell used and demo equipment. Towson Medical offers free delivery to most areas with UPS available nationwide. We bill insurances. We are Medicare Certified and Accredited. We offer free in home assessments and trials for mobility products. We have RESNA certified ATP’s on staff to assist you in finding the perfect power wheelchair or high-end rehab wheelchair. Come in today to test drive one of our many scooters and power wheelchairs or to try our stairlifts and seatlift chairs. Towson Medical Equipment delivers by hand on most packages, but some outside the State of Maryland will ship via UPS. Our customer service reps will make a note on your order for our driver to call ahead and schedule a delivery in which you will be able to accept the delivery so please make sure you provide a good contact phone number on your order. The delivery will include setup and delivery into your residence or business. 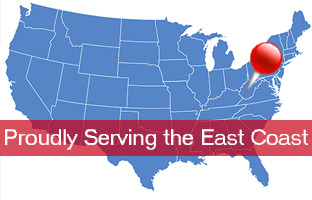 WE HAND DELIVER TO MOST ALL CUSTOMERS WITHIN THE STATE OF MARYLAND. We ship to customers in the 48 states, not hawaii or alaska, only shipping to regular addresses. We do will not ship to any PO Boxes. Shipping will be provided to our customers for free,except where otherwise noted. All orders requiring setup and assembly of items will have a flat rate associated with them. Currently lift chairs are $40 flat delivery and setup and all scooters, hospital beds, power wheelchairs, and stair lifts are a flat $89. All orders received before 2pm EST will be packaged and shipped for delivery the following business day (Subject to Stock and Availability). Products shipped UPS will take anywhere from 1 to 5 days or so to receive your item or items. Deliveries are not made on weekends or holidays. Business days are Monday through Friday. Orders received on the weekend will be scheduled for delivery the following Tuesday. Towson Medicals’ regular office hours are Monday thru Friday from 09:00 am to 05:30 pm EST. All deliveries in the State of Maryland will go out the next business day if received by 2pm (subject to availability). For all UPS deliveries outside the state of Maryland expect 1 to 5 days to receive your item. How do we ship multiple Items? Towson Medical Equipment stocks certain items and others are custom ordered, therefore your order may be delayed while waiting for custom items to arrive. We will keep you abreast of your order status at all times. With a valid email address we will notify you upon your order being shipped and again when your order has arrived. You can also email sales@allmedequip.com and a customer service representative will give you a time frame estimate. Is it possible to order products from your Website or over the phone? Our customer service reps are happy to assist customers with their online shopping; call our customer service reps at 410-882-4005, and have the web page available for the item you wish to purchase. A customer service representative can take your order over the phone and run your transaction via credit card. Why do you need my email address & phone number when I make a purchase? When you place an order at Towson Medical Equipment, we begin to process your order. In able to keep our customers posted throughout the process, we will send you an e-mail invoice receipt confirming your order. Sometimes if we have a question about an order such as size or color we may need to get in contact with you. We will always try to contact you first by email and then by phone. Why do I have more than one tracking number? If your order has two boxes it is necessary to have two tracking numbers. Will Towson Medical Equipment send a lot of junk e-mails or solicitations? Our monthly e-specials are targeted to customers who enjoy being the first to know about savings and special offers. In every monthly e-mail, we include a link that allows you to unsubscribe. When you register to become a member of Towson Medical Equipment, you may choose to receive or not receive e-mails. Where is Towson Medical Equipment Company located? Our Retail Showroom and Corporate headquarters is located in Parkville, Maryland, and we have a retail store in Olney, Maryland. We stock our warehouse with over 5,000 products but there are times that we have to ship products from other warehouses which will cause an extra day or two to your delivery time. We do stock and sell some used and refurbished equipment. For those interested in saving money visit our showroom to test out all of our used inventory. Every piece of equipment we sell online is brand new with the original manufacturer’s warranty information. Do you guys accept Private Insurance? Towson Medical Equipment Company does bill most all third party Insurance Companies. Visit our Insurance page for a list of the Insurance Companies that we are contracted providers for. As always it is the responsibility of the customer to contact their physician and Medicare and get the information necessary to submit a claim or seek reimbursement. Towson Medical Equipment Company only charges sales tax on some items in the State of Maryland. All states outside of Maryland will not be charged a sales tax. Maryland’s tax rate is 6%. Towson Medical Equipment Company will do everything we can to ensure the customers satisfaction. In that regard if the customer is not happy with an item purchased please let us know and we will offer a few options for exchange.